There are many professions in the music industry. That’s why I think it’s funny when people say, “there is no money in music”. If there’s no money in what you’re doing, you should either find a new discipline, or find a different approach! Don’t take this the wrong way – it takes time to build a career and make money in any capacity. But if you’re serious and committed about finding your niche in the music industry, you will find it, and the money will follow as you get better at what you do. Ghostwriting is just one example of a role that’s sometimes overlooked by people who wish to be involved with music in some capacity. But it can be a great opportunity assuming you don’t mind “working in the shadows”. Here’s how to become a ghostwriter for singer and rappers in the music industry. 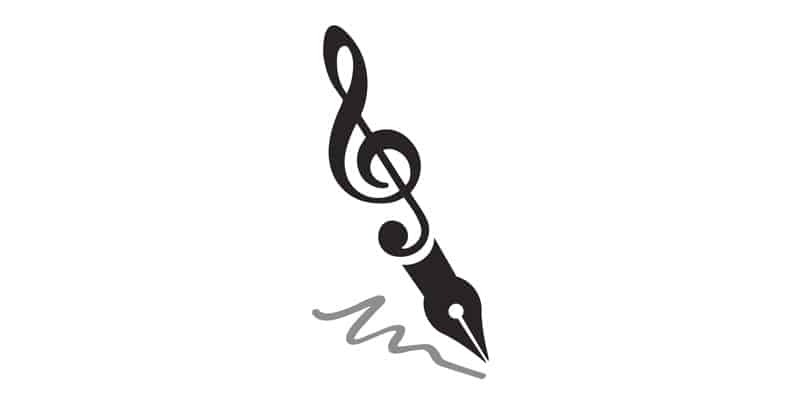 Singers, Why Become A Ghostwriter? It may seem like a strange thing to want to become a ghostwriter. After all, you’re basically writing for others and not getting any credit for your best work. And when I say best work, I mean it! As a ghostwriter, your responsibility will be to provide a product that meets the client’s expectations, and sometimes this can be a serious challenge. At times, you may need to revise work you’ve already spent hours developing, or even rebuild it from the ground up if it’s not up to their standards. So, is the job even worth it? Well, you may be surprised to find that ghostwriting work can be quite rewarding and satisfying in a lot of ways. For one, ghostwriting can pay well. I’ve done quite a bit of ghostwriting and freelance writing myself, some in the music industry, some not. Writing has been a huge part of how I’ve earned a living in the last six or seven years. I’m not sure where I’d be without it. It is possible to make some serous coin if you’ve got the right contacts. For another, ghostwriting can be a very flexible job. 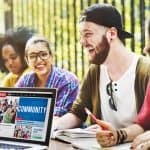 If you have a laptop and an internet connection, you can do your work from just about anywhere. Don’t take this to mean you won’t need to set up a home office or that you’ll always be able to do what you want to do when you want to do it. But some flexibility is usually par for the course, and so long as you don’t abuse it, you’ll learn to love it. As for not receiving credit for your work, true, your name may not appear in the liner notes of any albums, even those that hit it big. But that doesn’t mean you can’t build your reputation as someone industry people can trust to write great lyrics. You can get more work by supplying your existing clients with great work and building your profile. That’s how connections are created. Another reason you might consider this profession is if you love music, and you enjoy writing, but you can’t sing or play an instrument. But if this is the case, you will likely need to collaborate with other musicians and/or composers to produce your demos. Demos are incredible marketing tools, so you should be building your cache consistently. Songwriting isn’t always as easy as it appears. Sure, there isn’t much to a song like Rihanna’s “ROCKSTAR 101” (I’m not much of a fan myself). The point is that someone still had to write it! And to write it, they had to know what the artist was about, what audience they were speaking to, and what content would resonate with them. So, when you’re writing songs, it isn’t just about clever metaphors and a play on words. 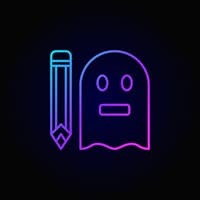 If you’re planning to make a living ghostwriting, you’re probably going to have to know how to write in a variety of styles – simple and complex – and be able to adapt based on what works for the artist and audience. 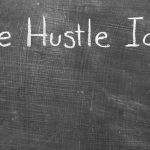 Bottom line – you need to put in your time. You’re going to need practice. Anybody who’s good at what they do had to put in some serious hours to get to where they’re at. I remember spending lunch hours, breaks, and even class time (not recommended) in Jr. High and High School filling binders with countless pages of lyrics. I wrote a lot of unusable junk! But at least I was teaching myself how to rhyme, structure a song, create flow, and put my thoughts down on paper. I didn’t do this because anyone told me to – I did it because I was compelled to! Likewise, if you truly have the desire to do something, you will just do it. I won’t need to tell you to practice – you’ll just go and practicing anyway, and nobody will be able to stop you. Similar to how I produced a lot of junk early on, you’ll write a lot of garbage too, especially if you’re just getting started. It’s okay, just stay with the process and be patient. You will improve, you will be recognized, and work will come your way. We all have those “aha” moments when suddenly a hook comes to us. It could happen in the shower, while driving, or even while you’re doing your dishes. But if you rely too much on those moments, you’re going to have a hard time creating a steady stream of work. If you want to be a professional ghostwriter, you must be able to produce at a moment’s notice, or at some point you’ll be crushed by deadlines. So, how do you stay inspired? By consuming a steady supply of information. You can study the top 40 charts, listen to different styles of music, engross yourself in poetry, read books, and even explore related or non-related fields and industries. Let me put it this way – you’ll probably be doing a lot of active reading, listening, and note-taking. By the way, I would suggest keeping a notebook or a note-taking device with you at all times. You still want to capture inspiration as it comes. But for the most part, inspiration is hard work. It doesn’t happen by accident. And, when you have deadlines looming over you, you’ll feel compelled to work hard at your craft. You’ll feel compelled to stay inspired, out of necessity. So, before your work demands it of you, you should start filling your inspiration queue, so you won’t ever be at a loss for words. There are many ways to express yourself, and you may end up relying on tried and true tricks at times (especially when you’re tired and you’ve still got more work to do), but if you keep reading and listening, you will keep discovering new ways of saying what you want and need to say. I’ve talked a little bit about building your reputation and client base already. As you can imagine, getting your name out there will become an important priority and responsibility of yours, because until people know what you offer, they can’t hire you to do it! 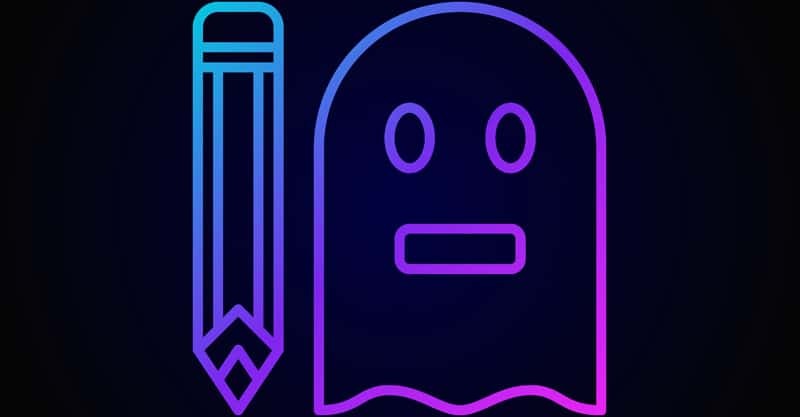 It seems ironic, because a ghostwriter basically works in the shadows of the industry. But the importance of being known, liked, and trusted won’t take a backseat to your skills as a writer, virtually ever. You still must make people aware of your services. I think when I talk about networking, many people cringe or shrink away because they think they need to meet everyone under the sun to be successful. That’s not the case. I have about nine people in my life that bring me work – some consistently, some only on occasion. And, trust me – I didn’t even have that many contacts at the start. But those are all the contacts I need now to help me make a living (and beyond). Core contacts can easily branch out into others, and you can find more work through them if you just stay consistent and do good work. Build your website. Showcase your writing skills on your blog, share about your services, give people a way to hire you and pay you immediately. Remember to market yourself specifically as a ghostwriter. Develop your social media presence. Your social media presence should be an extension of your website. Take your blog posts and share them out. Use quotes and testimonials to build credibility. Engage with visual content, such as pictures, infographics, and videos. Make demos. Set your lyrics to some great music. Connect with some musicians, and get them to help you with the music if you can’t do it yourself. Build your cache so you have songs you can pull out at a moment’s notice. Go out into the world. You probably don’t need to be told where – attend concerts, open mics, industry events and conferences, and so on, and shake hands. Don’t worry about trying to get something out of every interaction. Sometimes, just showing your face can make a big difference. Do good work. Be on time. Answer your clients when they call. Treat everyone with respect. One job can lead to another, and you just never know, so treat every relationship as if it’s the most important. If you burn bridges, fail to meet deadlines, or your clients find you hard to work with, you’re not going to get much repeat business, and eventually your reputation – and thus your bank account – will suffer. In business, the best strategy is always to under-promise and over-deliver. As much as possible, make it your goal to action this mentality. Sometimes, this might mean turning clients away when your roster is already full. At other times, it could mean getting up early or staying up late to get some work done. If you’re willing to do whatever it takes, you should never fail in delivering on your promises. People like working with those that can be counted on. If you’re reliable and on time, 50% of the game is already won. The rest is up to you – maintain a positive attitude, and get your work done. Join a PRO. 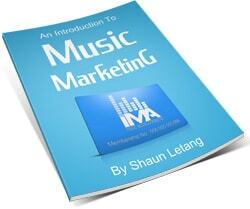 Join ASCAP or BMI if you’re in the States, SOCAN if you’re in Canada. 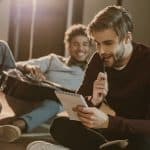 They tend to offer a lot of resources that can help you navigate the complexities of your career, and will collect royalties owed to you besides. Register your songs to ensure you get paid. Copyright your music. 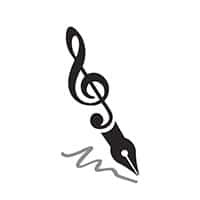 Even as a ghostwriter receiving no credit for your work, you are still the rights owner of the music you write, and are owed certain royalties when it is used. So, protect your work by copyrighting it. It’s possible that the nature of the contracts you get will dictate different terms. Only sign agreements that seem fair to you, and if you’re not sure, get some help from an experienced entertainment lawyer. Otherwise, it’s good to maintain control over your work and maximize your earnings as much as possible. Lots of people need songs written. It might seem surprising, but many mainstream artists do not write their own tunes. Many are the handiwork of a skilled ghostwriter who is fully aware of the artist’s persona and the audience they appeal to. You, too, may have the opportunity to work with big names if you’re good at what you do and build a positive reputation for yourself. The main thing is to love music. If you love it, there’s a better chance you’ll stick with the craft and keep progressing. If you don’t enjoy your work, your chances of getting somewhere aren’t as good. Ghostwriting isn’t for everyone, but it might be for you. You won’t know unless you try.